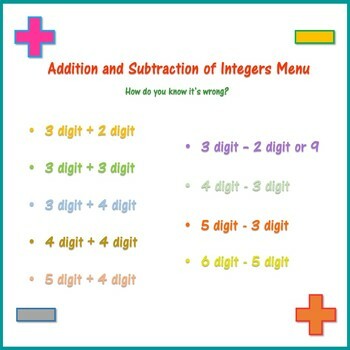 Addition and Subtraction of Integers How do we know this is wrong? 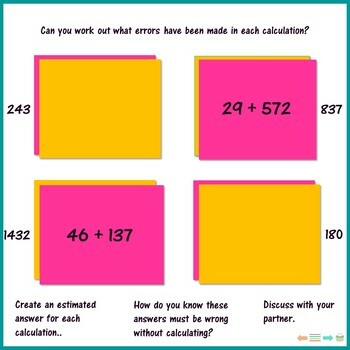 For this reason, it is useful to look at questions and answers and ask pupils to explain why particular answers cannot be correct, without carrying out the actual calculation. That is the focus of this PowerPoint presentation. 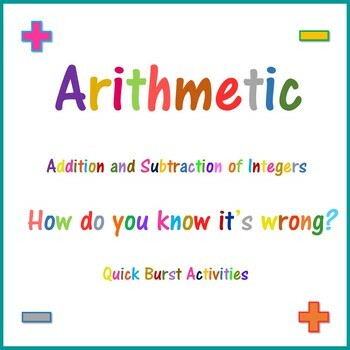 It is worth removing any writing materials, including whiteboards, so that pupils cannot work out the actual calculation but have to rely on reasoning and estimates they can complete in their heads.